Augmented reality gaming company Reach Robotics today announced that its MekaMon gaming robot is coming to Apple Stores throughout the US and UK starting on November 16. Priced at $299.99, MekaMon is a real-life robot that melds real-world gameplay with augmented reality. 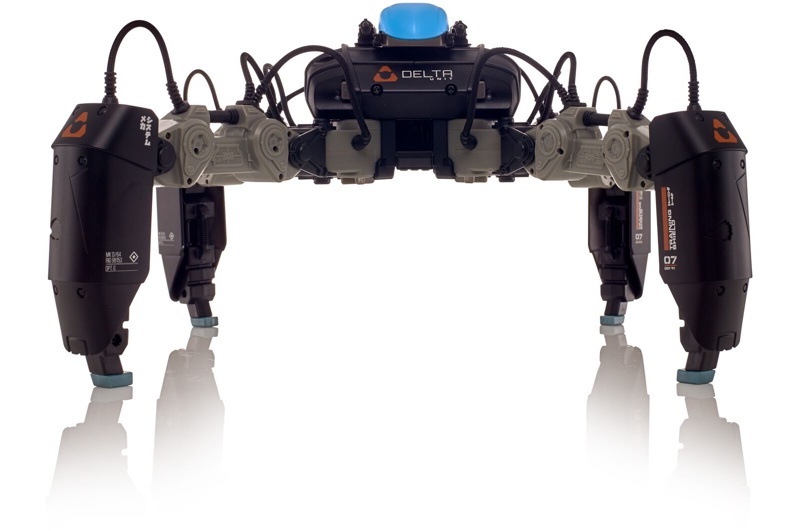 MekaMon, a four-legged spider-shaped robot that measures in at 11.8in x 11.8in x 5.9in, is designed to let players battle their robots in both the physical and virtual worlds using iOS devices. MekaMon is compatible with newer iOS devices and adopts the iPhone's camera and infrared sensors for what Reach Robotics calls "precision gameplay." MekaMon robots connect to one another using infrared signals as players' iPhones connect over Bluetooth, letting friends battle against each other or participate in arcade and cooperative gameplay. With the built-in augmented reality support, gamers can choose to play with their MekaMon robots either in the real world or using augmented reality. Once a battle is engaged, MekaMon is able to move and use objects in the room like tables, chairs, and more to block attackers. 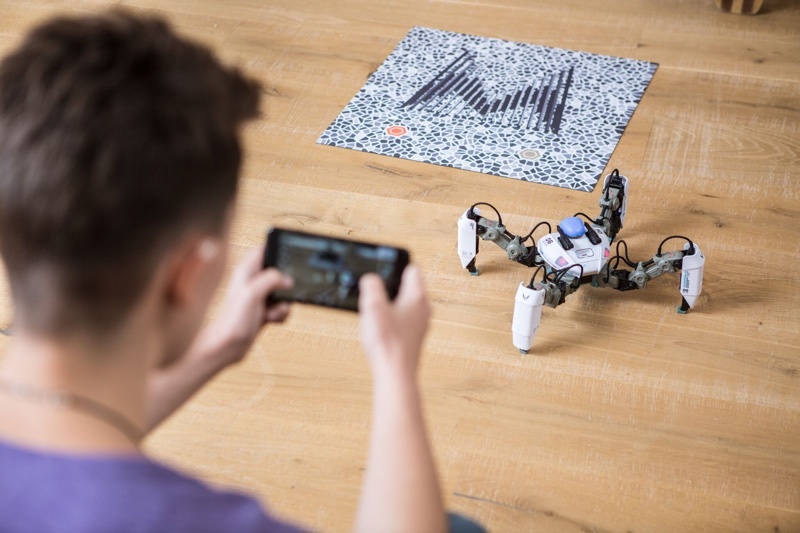 Each MekaMon robot can be customized by adding weapons or shields to make the robot more aggressive, defensive, or technically inclined, and the MekaMon robots are compatible with Swift Playgrounds, so users can control their robots using Swift code. 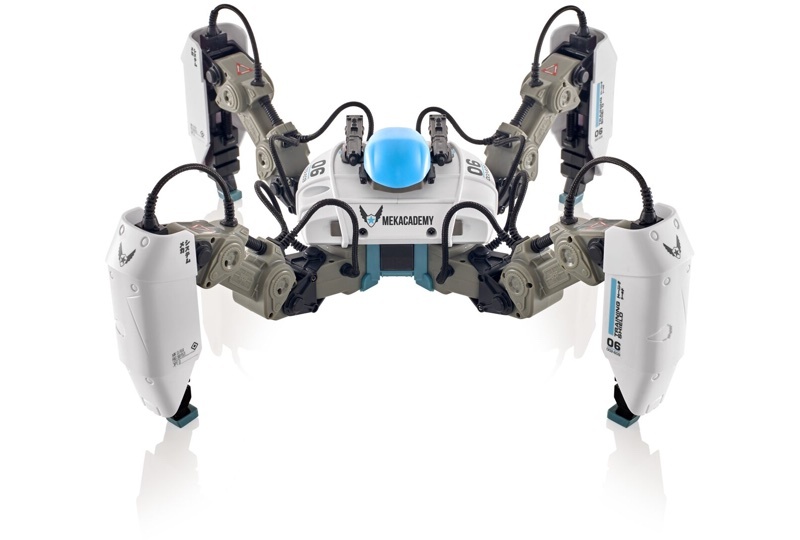 MekaMon can be used as a code learning tool with users able to implement "fundamental coding concepts" to control MekaMon's movements, reactions, and startup and shutdown features. "We've created an entirely new video gaming platform," said Silas Adekunle, CEO of Reach Robotics. "MekaMon straddles both the real and virtual worlds while taking the gaming experience beyond a player's screen and turning their sitting room into a limitless robotic battle zone. MekaMon represents a quantum leap forward in the leveraging of augmented reality. Players can whip out their smartphone to battle their multi-functional, connected battlebots in the physical and virtual worlds at the same time." MekaMon can be purchased from Apple.com or MekaMon.com for $299 starting today. It will be in Apple retail stores tomorrow. Pretty cool, looks like it would be a lot of fun. I like that it works with Swift Playgrounds too. 10 years from now a new generation of coders will give this thing credit for how they got their start. That would make it an ant.. 8 legs or bust! I stopped reading at “infrared” and “Bluetooth”. Infrared requires line of sight and Bluetooth is notoriously finicky. I really like that so many of these (well half a dozen plus) new toys are getting Swift Playgrounds integration. It is a great way for kids to get involved in programming. I hope that trend continues. I've been buying various bluetooth toys with SP integration for my younger relatives and they've been a hit while simultaneously being educational. That video was unnecessarily depressing. Poor spider robot, tortured to death by amputation. I can live with either. But what sane Insect could do with 4 legs?